ECONOBOX CAFÉ: When econoboxes evolve into hot hatches... part 2. 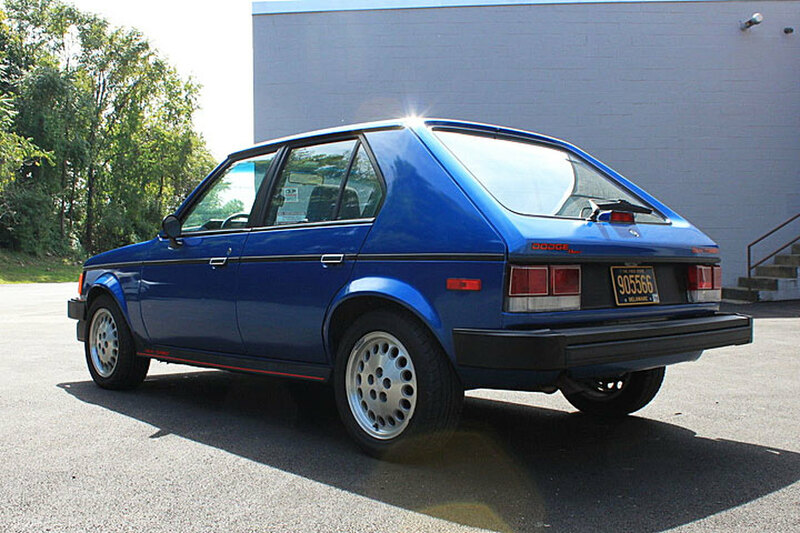 Small hatchbacks such as the VW Rabbit were becoming more popular at this time and Chrysler introduced this model in part to compete with the Rabbit and other imports as well as offer a "made in America" option. It preceded the famous, or infamous depending on your point of view, K-car by three model years. Although the K-car was credited as the car that saved Chrysler the Omni paved the way in that when the company requested federal assistance, the Omni?Horizon was an important piece of evidence of the fact theey were attempting to compete with imports and build small, fuel-efficient cars and might be worth saving. It didn't sell particularly well when first introduced but did become Chrysler's top selling line in the years leading up to the introduction of the K-car. Over the years there were a couple of variants offered that didn't fare too well. They were the Dodge 024 and PlymouthTC-3 three door hatchbacks which were actually heavier than the five door original. There was also a short lived mini pickup offered named the Rampage in Dodge trim and Scamp in Plymouth. 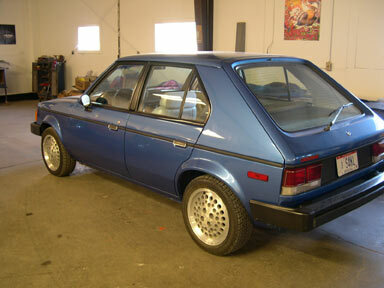 When first introduced the Omni was equipped with VW sourced 1.7l four cylinder mated to 4 speed manual transmission. This was replaced with another European engine, a 1.6l Simca based four cylinder, for the 1983 model year. In 1987 this was switched to a Chrysler 2.2l. There was really nothing exciting about this car. It served its purpose which was to get you from point A to B in reasonable comfort while getting good gas mileage. That is until 1984 year when the Omni GLH was introduced. Carroll Shelby was recruited to up the performance of the Omni. He modified the suspension, power was upped from the stock 75hp to 110hp, improved the brakes and enhanced the steering. And in case you were wondering, GLH stands for "Goes Like Hell'! 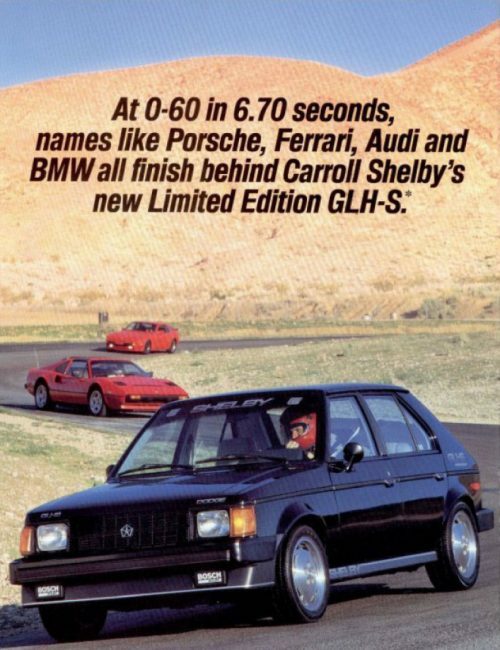 In 1985, the GLH was given a turbo! Although boost was limited to just over 7.0psi the 2.2l engine still pumped out 146hp. That power propelling only 2,300 lbs made the Omni GLH one of the hottest hatches available. For some perspective, the VW GTI of the time had 113 hp and the Honda Civic Si had just 91 hp. The ultimate Omni has to be the 1986 GLHS. The last 500 GLH's, which were all black, were shipped to Shelby to up the performance a few more notches. And notch it up he did. This version of the car pumped out 175hp and 175 ft lbs of torque by using an intercooled T2 turbocharger calibrated to produce 12psi of boost. All this added power was put to the ground with 205/50r15 tires controlled with Koni adjustable struts and shocks. The net result... 0-60 times of 6.70 seconds which put the GLHS in some pretty lofty company. So that's my take on how the humble Omni evolved into the hot hatch that was the GLHS. 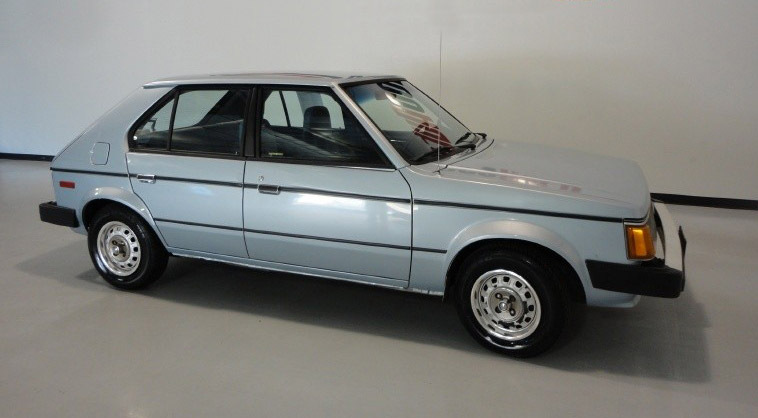 The GLH and its variants were only produced for the '84-'86 model years whereas the everyday version stayed in production until February of 1990 after a total run of just over 961,000 cars. What econobox to hot hatch evolution would you like to see featured? Let me know in the comments below.